Many reliable and credible scientific journals related to building science most relevant to the microbiology of the built environment are listed here. These are selected based on our personal experience and judgment and do not constitute a comprehensive or definitive list. The subject matter of papers published in Atmospheric Environment covers air pollution research and its applications. Papers should present novel results based on experiments, theory and modelling of the atmosphere extending from the scale of buildings and streets to the globe. The main aim of Atmospheric Environment is to provide a scientific understanding of the consequences of natural and human-induced perturbations of the earth’s atmosphere. Areas covered include air pollution research and its applications, air quality and its effects, dispersion and transport, deposition, biospheric- atmospheric exchange, atmospheric chemistry and induced changes in radiation and climate. Atmospheric Environment publishes original research and review articles, special issues and supplements, and New Directions columns. Environmental Health Perspectives (EHP) is a monthly journal of peer-reviewed research and news published with support from the National Institute of Environmental Health Sciences, National Institutes of Health, U.S. Department of Health and Human Services. EHP‘s mission is to serve as a forum for the discussion of the interrelationships between the environment and human health by publishing high-quality peer-reviewed research and current, credible news of the field. With an impact factor of 7.04, EHP is the second-ranked journal in Public, Environmental, and Occupational Health and the third-ranked journal in Environmental Sciences. 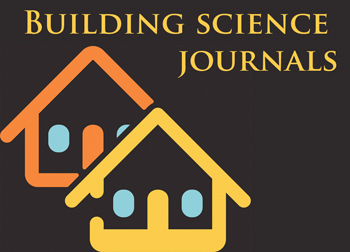 Many more building science journals and links to other resources relevant to indoor air quality and environment are available at the BuildingEcology.com web site. BuildingEcology.com webstie at IAQ – Useful Publications and at the IAQ links on the BuildingEcology.com website http://www.buildingecology.com/iaq.